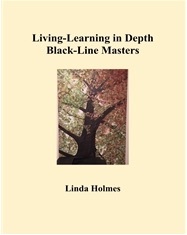 In this black-line master book I have included 130 of my own drawings of LiD topic pictures accompanied by facts and questions. Also I have included the weekly LiD Tips for home-school use, as well as, my first post. I created this book to be shared and photocopied by staff and and for parents. The book is coil bound with a sturdy cover for hopefully a long and useful life. Poetry is pretty much consuming my time these days. It’s too overwhelming for me to keep up with drawing, on a regular basis. I have too many interests!